CMS108 Laser Line Scanner - CMM Inc. 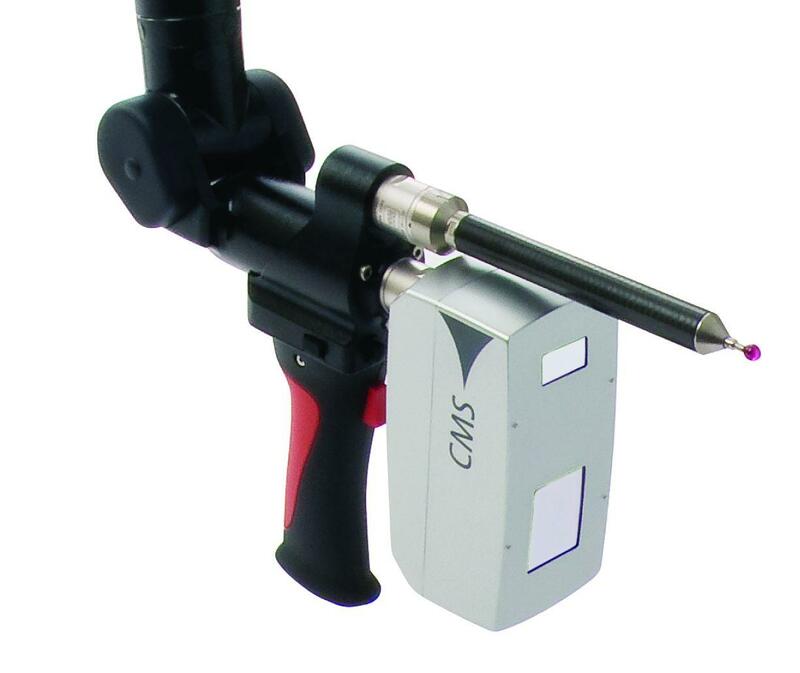 The CMS 108 provides high accuracy inspection for your ROMER Arm. The CMS 108 is the first ever laser scanner with a zoom function - providing three different line widths (24mm / 60 mm /124mm), while keeping a 2,000 point per line density. As a result, this portable CMM offers first-class performance (even on complex surfaces) and can be used effectively on work pieces that require reverse engineering or inspection applications. CMS108 boasts high precision flying dot laser scanner technology, capable of accuracies to 20 microns. This unique technology allows the scanner to rapidly detect difficult to scan materials by detecting changes in color and surfaces based on their reflectivity. This laser scanner can also transition from matte to shiny features automatically, without the operator having to make exposure adjustments. All of the hard work is done for you. The CMS108 is an ideal solution for users within the automotive, aerospace, medical, rail, and energy production industries. Absolute SE arms or Infinite 2.0 SC arms are also available.